A few weeks ago I was innocently scrolling through my Twitter feed when my eyes were assaulted by a news headline announcing that cockroach milk has superfood potential. I rely on Twitter to bring me breaking news the minute it hits the ozone. I follow two local channels and one national channel and therefore I’m up to date on ALL of the news. But just because you CAN know all the news, doesn’t mean that you SHOULD. You’ve probably already heard about this cockroach milk thing. I myself may (or may not) have jumped onto Facebook that same day to air my angst. I don’t really remember. I could feel the panic attack igniting in my chest cavity and burning away at my rib cage like fire licking at a paper scrap, blackening the edges and curling them inward before culminating in a flame of victory that extinguished itself to leave a trail of smoke and a sad smudge of ash where the paper used to be. In other words, I felt like I was having a heart attack and I couldn’t breathe. I was practically hyperventilating on the phone with Callaghan. Anyway. In case you haven’t heard, it’s been discovered that a certain roach produces milk that might be the elixir of life. And here I thought that would be grapefruit juice. Let’s break down this article (from http://www.livestrong.com/article/1012179-roach-milk-next-superfood/) and my thoughts as I read it. Got (roach) milk? A team of scientists do, and they’re developing it for possible human consumption. Researchers from the Institute of Stem Cell Biology and Regenerative Medicine in Bangalore, India, have been analyzing the “milk” produced by the Pacific beetle cockroach (Diploptera punctata). Trying to make it sound less horrifying by calling the roach by its flowery Latin name. Diploptera punctata. The string of syllables might sound melodic when you say it out loud, but the second word seems kind of… suggestive, doesn’t it? They’re not fooling me. A roach is a roach is a roach. Their goal: to create roach-milk-derived protein supplements that can feed the world’s exploding population. And who do these lunatics think they are, anyway, thinking about feeding starving people in the world? Grossed out? We are, too, but there’s a method to their madness. I don’t care to know the method, thank you. While researching for this masochistic blog post, I came across a few articles in which it was proposed that roach milk could be used in protein shakes. Never have I been so relieved to be vegan. The researchers found that the milk protein crystals from Pacific beetle cockroaches contain four times the nutritional value of cow’s milk. These crystals slowly release proteins, fats, sugars and essential amino acids overtime, which can help maintain steady energy levels. I know another thing that releases a badass energy source slowly over time. It’s called Superstarch; we often blend the chocolate one with peanut butter and half a banana. Voilà… slow-releasing energy with protein, healthy fat, and sugar from the banana. Roach milk unnecessary. The scientists won’t be corralling cockroaches like farmers do cows, however. Oh, right! They want the roach milk, but they don’t want to do the dirty work and corral the roaches. They’ve envisioned a roach milking future that’s far more high-tech: using biotechnology to sequence the genes and reproduce the milk in a lab setting. AH HA. Unlike cows, God didn’t bestow upon roaches a languid demeanor, adorable sound effects, trendy color patterns, and big, sweet, fluttery eyes. Roaches are therefore exempt from the horrors of factory farming. Only cute animals get to experience terror, pain, and suffering when being used for food! ROACHES ARE SPECIAL SO LET’S LET THEM LIVE PEACEFULLY. God forbid we use biotechnology to reproduce other animals’ milk in labs. Their findings are found in the International Union of Crystallography Journal. There’s a whole society of experts here throwing a roach party to celebrate the premiere of this nightmare. Roach milk. If this milkshake brings boys to the yard, I’ll be like, WHAT IS WRONG WITH PEOPLE. I couldn’t bring myself to search for roach pics to accompany this post, so here, have some baby bunnies. 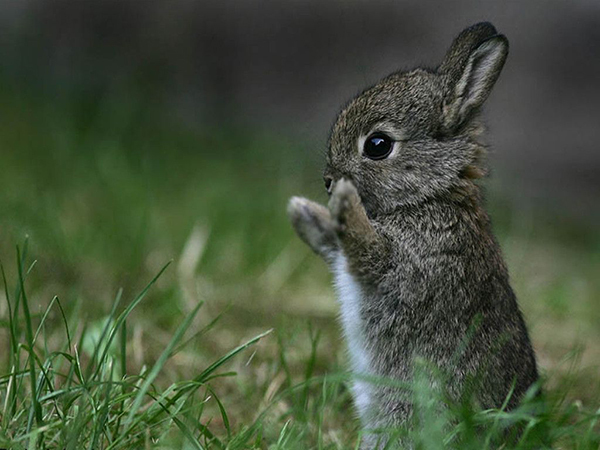 Baby bunnies are the opposite of roaches, as everyone knows. ← The je ne sais quoi of Badassery. UGHHHHHH NOOOOOO. I’ll stick with my almond milk. 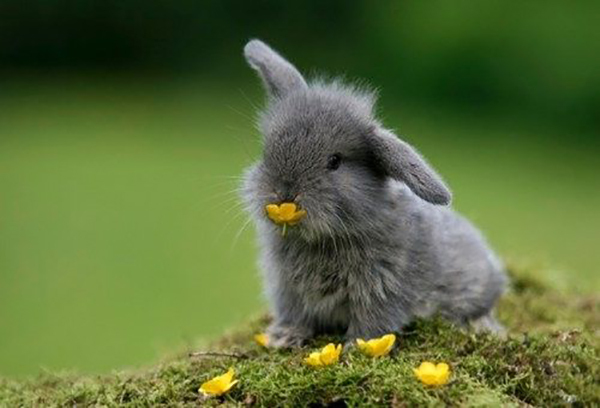 LOL I chose the cutest bunny pics I could find.